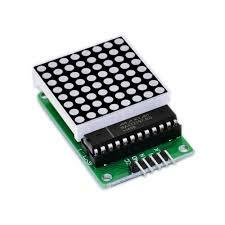 This Dot Matrix Display(Single display) is ideal for adding display functionality to your project. This Dot Matrix Display(Single display) is ideal for adding display functionality to your project. Display numbers and more with this Dot Matrix display.